We keep it simple. And eco-friendly. 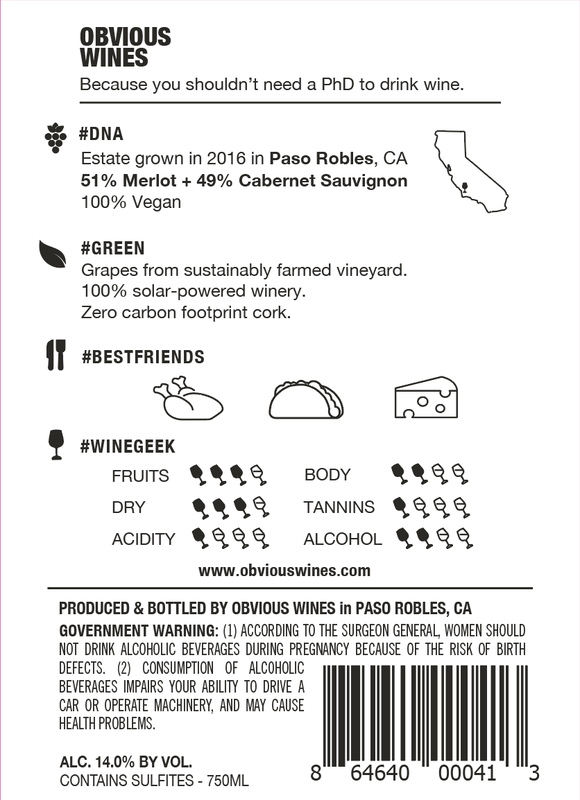 Obvious Wines is a collection of Estate wines crafted through sustainably farmed practices across vineyards in California, Chile, and France. 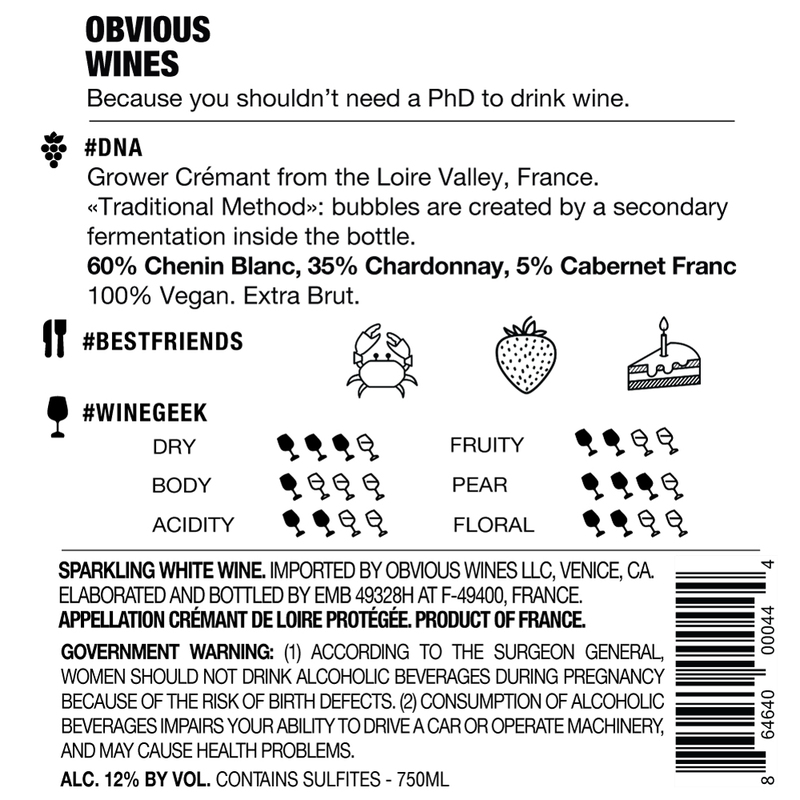 Our distinctive and straight-forward labels provide relevant information on the taste, characteristics, and provenance of each wine in a clear and simple way, making it easier to find and learn about wines you love! Planted in 1973, Broken Earth Winery produces unique wines that are estate grown, harvested & bottled in Paso Robles and maintain a sustainable approach to farming. Founded in 2004 on the passion for authentic Sauvignon Blanc from the Loire region and the vision to produce wine using the latest technologies. 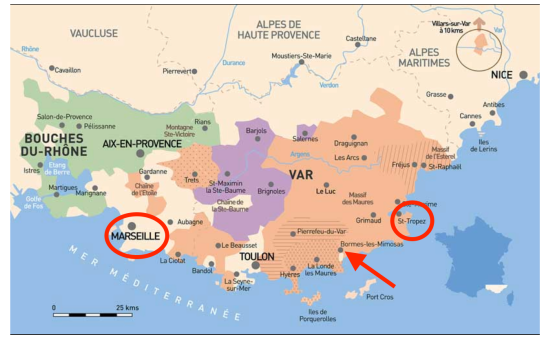 Established in 1980 by Francois de Victor, now run by his two sons Olivier & Remy, the Provence vineyard is Certified Agriculture Raisonée and has organic practices. 2016 Red blend, Broken Earth Winery, Paso Robles, CA. Limited Production. 2017 Sauvignon blanc, Villebois Winery, Loire Valley, France. Limited Production. 100% Vegan & Sustainably Farmed. Free shipping for a purchase of 4+ bottles. 2018 Pinot Noir blend, Trasiego Winery (B-Corp), Central Valley, Chile. Limited Production. Organic & Biodynamic grapes - Sustainably Farmed. 2017 Chardonnay, Central Coast, CA. Limited Production. Crémant de Loire (Traditional Method), Villebois Winery, Loire Valley, France. Limited Production. 2018 Rosé blend, Domaine de la Sangliere, Bormes-les-Mimosa, Provence. 100% Sustainably Farmed. Grown with sea view. 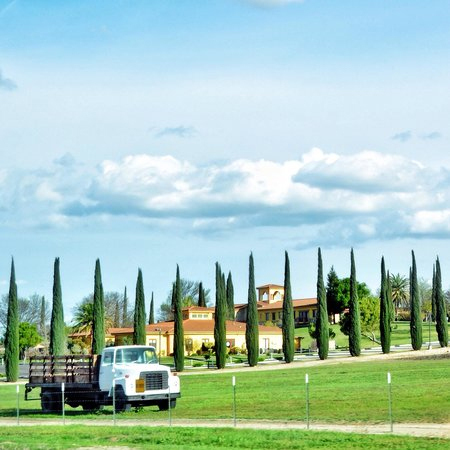 Rancho Tierra Rejada, Spanish for “land of worked earth,” is the original name of the 2,500 acre Paso Robles ranch that is now home to the vineyards of Broken Earth Winery. 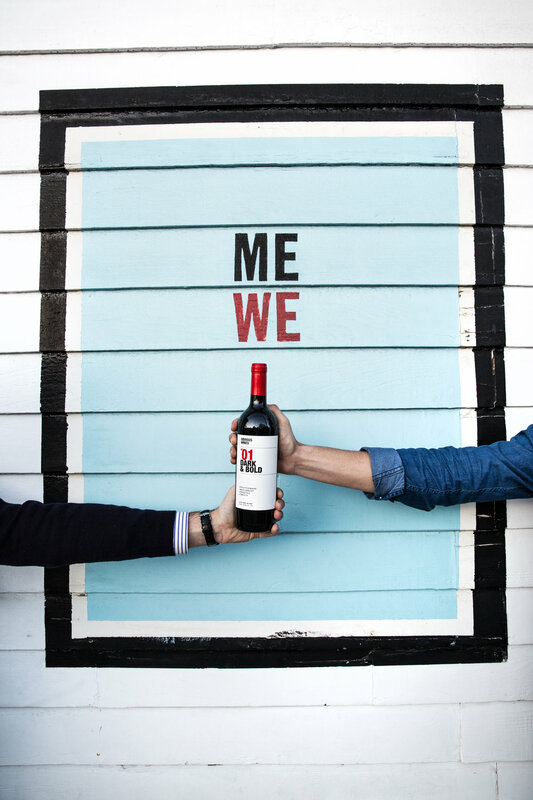 Our unique wines reflect winemaker Chris Cameron’s committed & passionate approach to all aspects of winemaking. Structure & balance are most critical, each varietal released is an accurate reflection of the style & the region. Broken Earth Winery remains committed to sustainable ideals, our goal is to respect the land and its treasures with the belief that the soil will give its best only if it ‘feels’ its best, so attention to the earth’s health is critical. Husband & wife team Vincente & Bernadita Johnson started Trasiego to rescue the underserved and under appreciated small South American vintners that produce wines and/or grapes of the most diverse, unique and exotic terroirs. 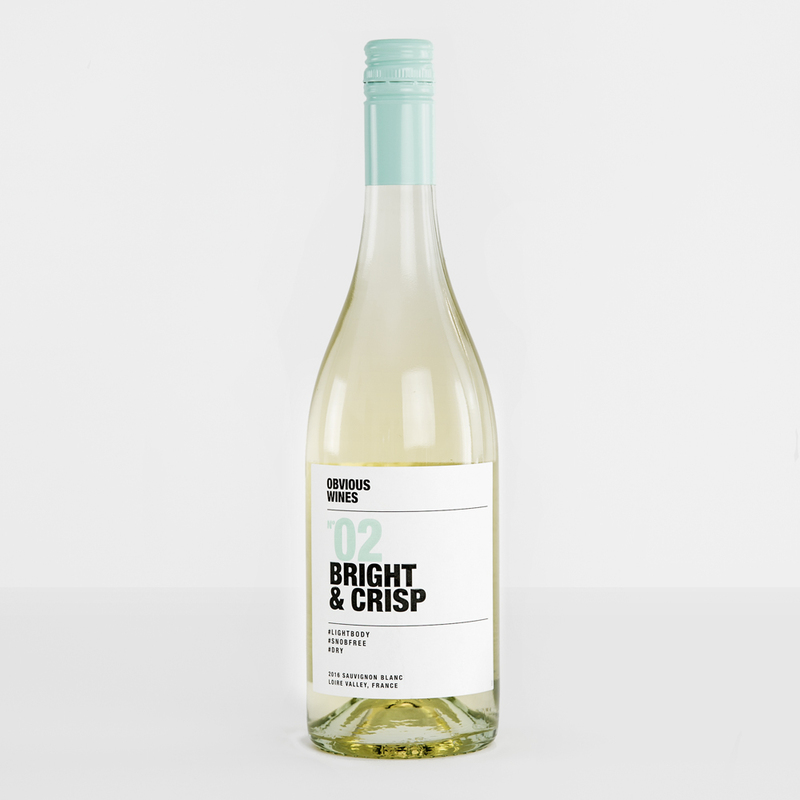 They strive to empower small producers to grow wines in the traditional way, vinify small lot batches, and pay fair prices for top quality fruit from unique sites. Trasiego Wines connects the United States to South America by bringing a unique and diverse portfolio of high quality, affordable South American artisan wines from exclusive steeped in winemaking tradition. It all started in 2004, when Joost de Willebois spotted a small well-run local winery in the Touraine region. 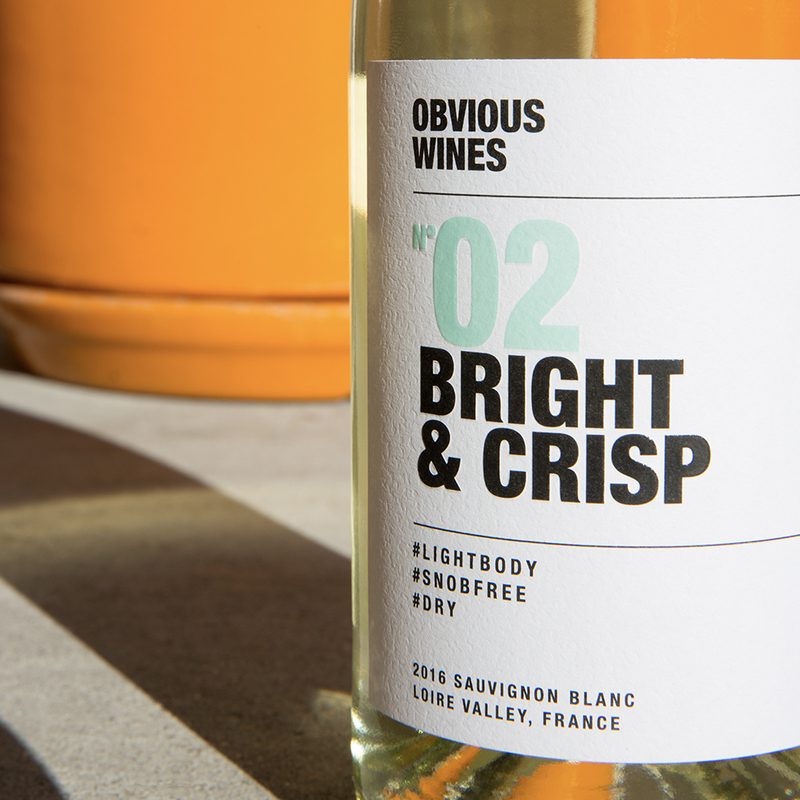 The owner at the time established himself with a long tradition of producing the finest local Sauvignon Blanc wines however he lacked a successor. Joost recognised this as a golden opportunity to transform the small winery into a wider producer of quality Sauvignon Blanc wines from the Loire region; Sancerre, Pouilly-Fumé and Touraine. With the support of his wife, Miguela and a small group of close friends, Joost began the Villebois’ adventure. Since it's start Villebois has grown its business year in year out to what it has become today. Established in 1980 by Francois Devictor, Domaine de la Sangliere is now run by his two sons Olivier & Remy. 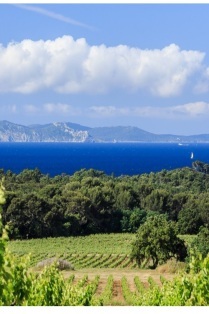 Their 42ha Estate begins just 600ft from the Mediterranean Sea and neighbors Chateau Leoube on Cape Bénat - a protected area of outstanding natural beauty conserved via Conservatoire du Littoral. 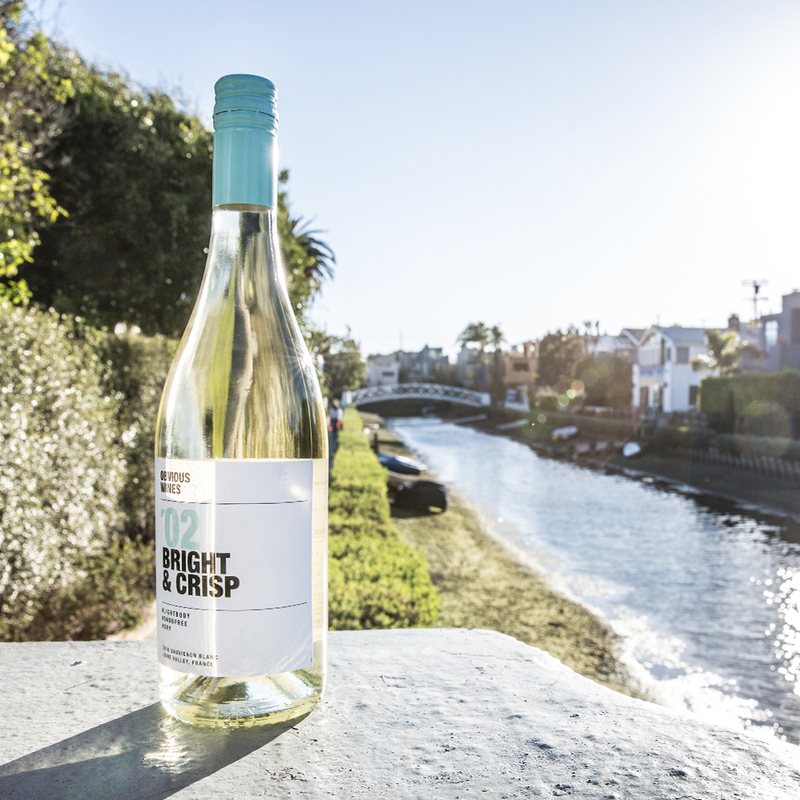 Their coastal hillside vineyards with ocean views benefit from cooling sea breezes, low humidity, and 300 days of sunshine a year. The Mica Schist soils rich in quartz are unique to Bormes-les-Mimosa and impart distinct freshness and elegance to the wine. The winery is Certified Agricole Raisonée, Practicing Organic. Green fertilizers from estate-made vegetal compost and horse manure (better than commercial manure which contains fewer microbes). Rigorous cover crop regimen throughout the year (mustard, radish, ryegrass) for soil health. Advanced canopy management and leaf dropping to reduce disease pressure. Never any use of chemical insecticides or pesticides. 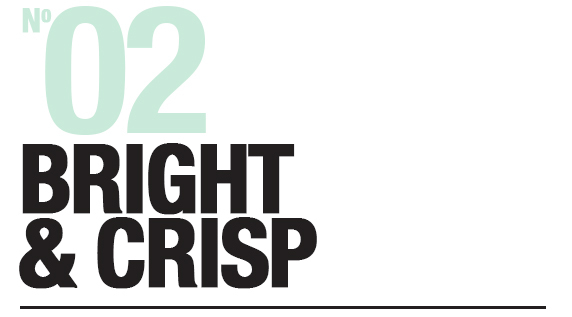 Their winemaking practices include night harvest to retain freshness and focus on CO2 preservation rather than SO2. Cool fermentation (60F) is used in stainless-steel vats initiated with native yeasts. Rests for 3-months in Stainless Steel, 2-months in bottle. The winery sanitizes with steam rather than artificial chemicals.